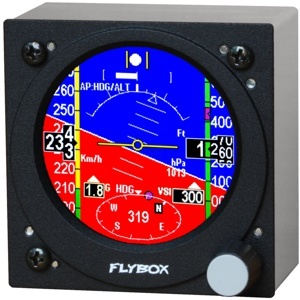 Flybox presents «Oblò»: attitude indicator and primary flight data in a compact and lightweight instrument, that fits in a standard 3.125" (80mm) cut-out. 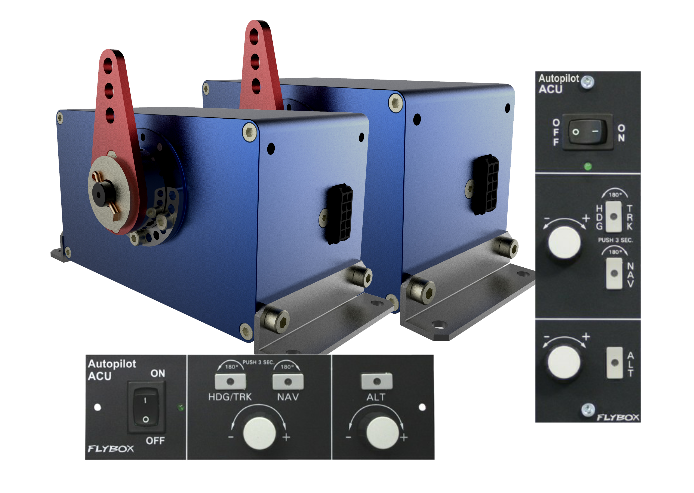 Designed as a backup instrument, also ideal for those who already have an EFIS as a replacement of the analog backup instruments. The Oblò accurately represents the aircraft attitude thanks to the integrated AHRS inertial platform, equipped with solid-state micromachined sensors (gyros, accelerometers and magnetometers) and a complex adaptive algorithm. 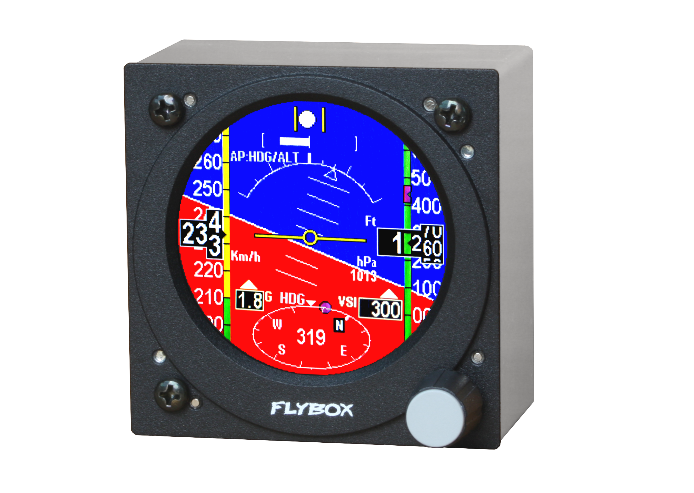 The two state-of-the-art pressure sensors provide the airspeed (airspeed indicator) and the altitude (altimeter), the latter with the option to set the pressure reference as in a traditional altimeter. Unlike other products similar in size, the Oblò does not display the speed and altitude taken from a GPS receiver, but calculates them by itself. The airspeed and altitude indications, based on pressure sensors, do not suffer the typical delays and errors of GPS-based indications. -1000 ~ +25,000 feet and for the airspeed a maximum error of 3 km/h at low speed (below 30km/h), which decreases as the speed increases. 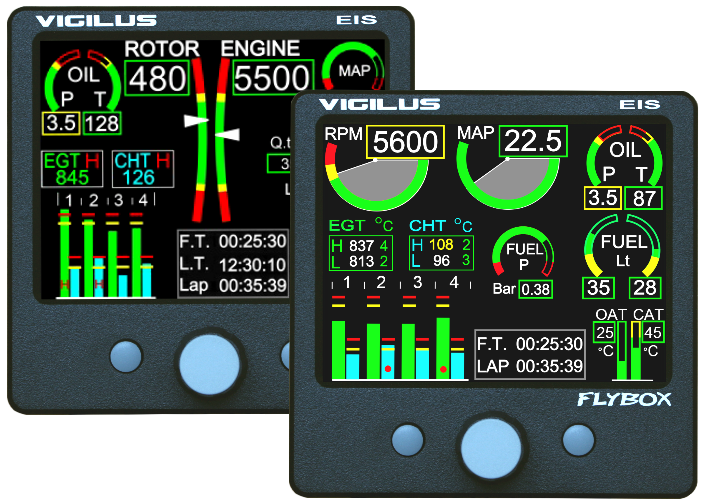 A true EFIS at the price of an electric attitude indicator. Menu selections are designed to be intuitive and easy to use with the auto-zoom of the selected item. 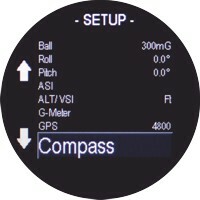 The inclination angle of the instrument panel can be set. Easy to install, it fits in a standard 3 1/8" (80 mm) cutout. 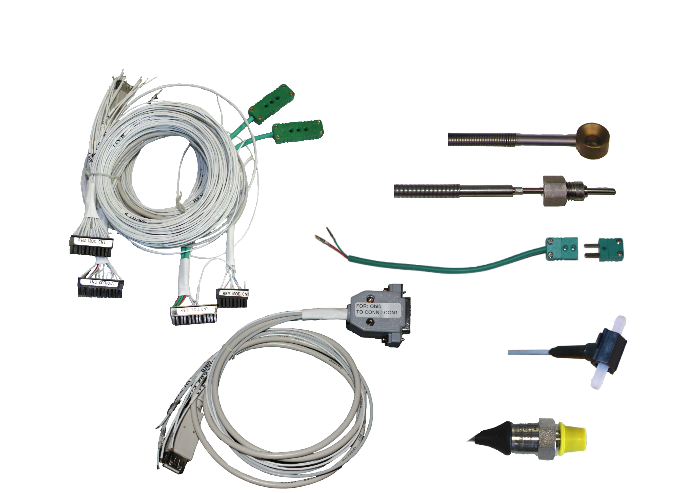 Easy to use, with all the features and the configuration menu controlled by a single push-button knob. 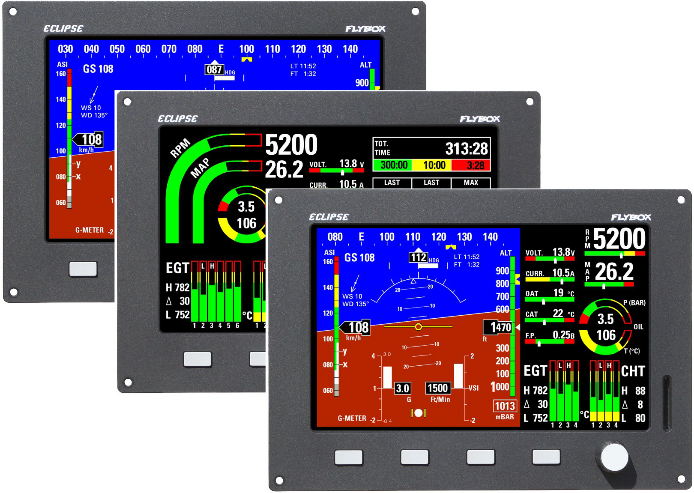 Using state-of-the-art custom TFT LCD, the display is highly visible in direct sunlight. 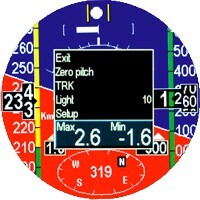 Attitude indicator with 360° indication of roll and pitch. Altimeter in feet or meters. 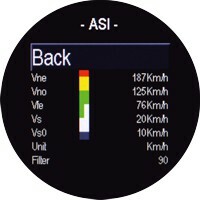 Airspeed indicator in km/h, mph or knots. Magnetic heading or GPS tracking indication. Pressure reference in InHg or hPa.